The man attacked passersby in five places near Rosenheimer Platz in the eastern part of the city centre at around 0630 GMT, inflicting "light" injuries on four people, a police spokesman told AFP. 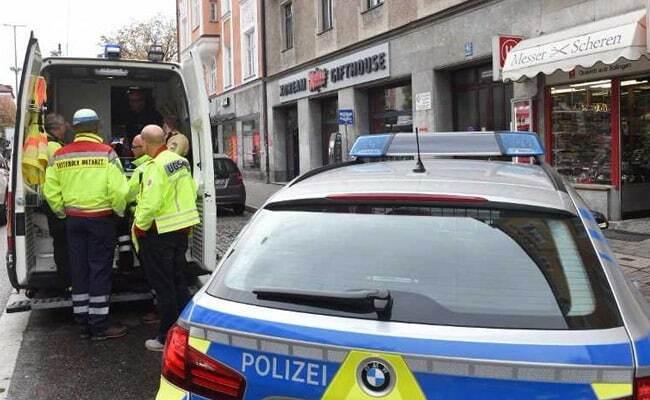 Berlin: Four people were lightly injured Saturday morning in the southern German city of Munich by a man wielding a knife who fled the scene, said police, adding possible motives were unknown. The perpetrator of the attack "is still on the run", the local police said on their Twitter account, where they also called on residents to stay inside. It added "no life threatening injuries" were suffered by the victims. Local police described the perpetrator of the attack as a man in his forties, wearing grey pants and a running jacket, who fled on a black bicycle. He was also carrying a backpack and a camping bed roll. "We are searching for the perpetrator of the attack with all available police" Munich police said on their Twitter account, adding that for the moment the possible motives for the attack remained unknown. In July 2016, a German-Iranian teenager who police say was obsessed with mass murderers, shot dead nine people at a Munich shopping mall before turning the gun on himself.